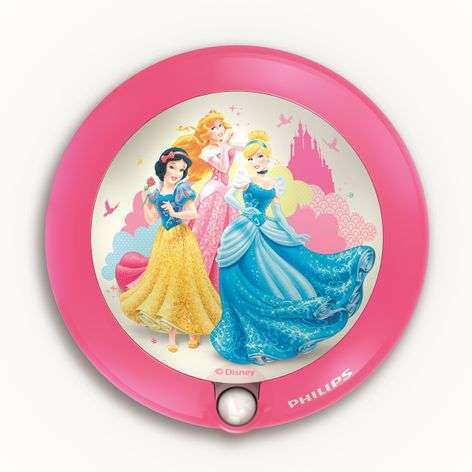 This LED night light with an enchanting Snow White, Aurora and Cinderella print, is a night time guardian over a little girl and provides a safe feeling at night. The supplied day and night motion detector senses any movement and switches the integrated LED light on. 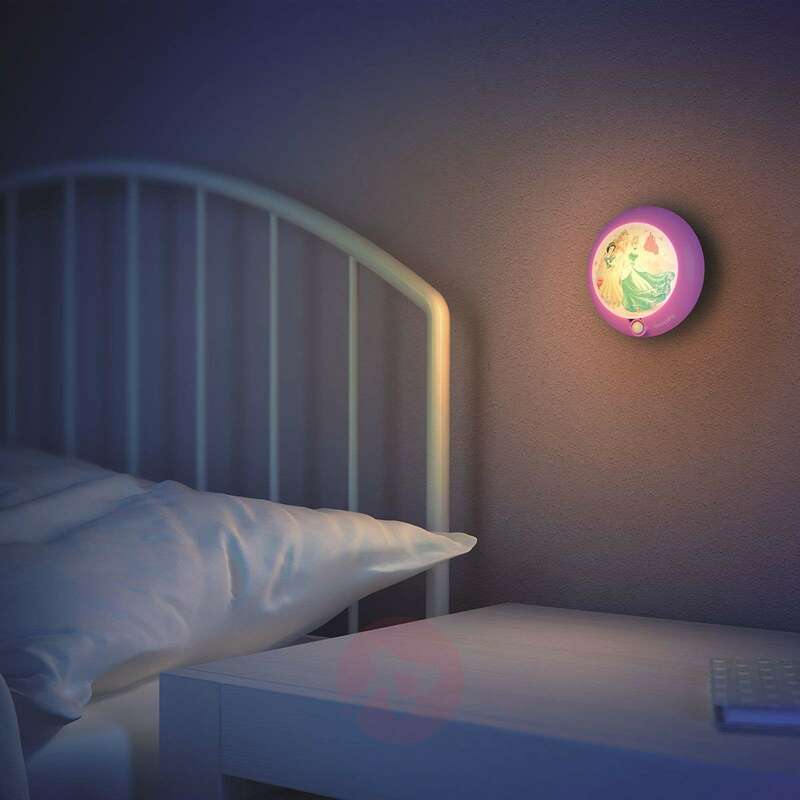 The night light is therefore excellently suited as a guidance light next to a child's bed in case they have to wake up. As the light is battery operated, it can be hung anywhere. The light functions with two AAA batteries which are not included in delivery.